OpenAM can act as both SP and IdP for SAML webSSO flows. OpenAM also provides ability to dynamically create user profiles. When OpenAM is acting as SAML SP and Dynamic user profile is enabled, if user profile doesn’t exist on OpenAM then OpenAM dynamically creates this profile from attributes in SAML assertion. Compare attributes in SAML assertion with existing user attributes. 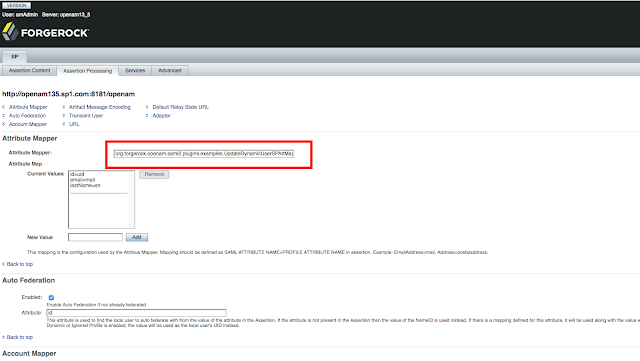 Change SAML attribute setting in OpenAM. 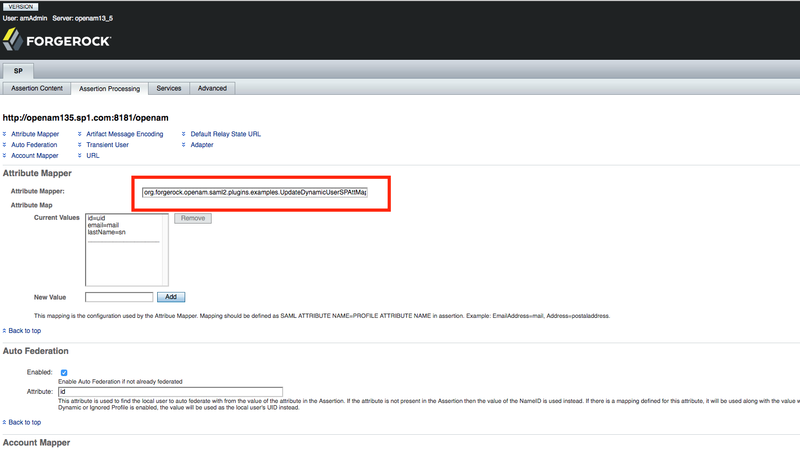 Navigate to Federation > Entity Providers > (SP Hosted Entity) > Assertion Processing. Specify ‘org.forgerock.openam.saml2.plugins.examples.UpdateDynamicUserSPAttMapper’ under Attribute Mapper. And we are good to go! Any changes in user profile attributes in SAML assertion will now be persisted in OpenAM datastore. This blog post was first published @ theinfinitelooper.blogspot.com, included here with permission.